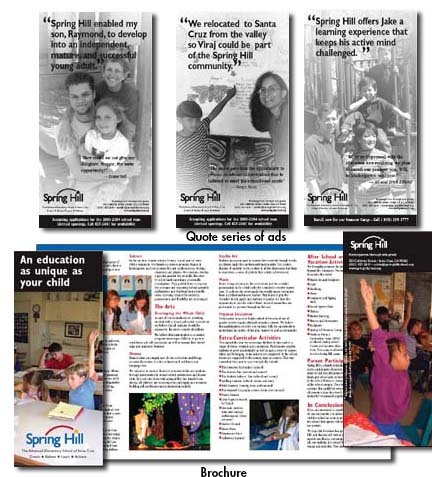 Working with Persuasions Copywriting, I designed a series of ads in which the parents spoke about how much they loved Spring Hill. Z-Studio shot the photos for these ads. Also with Persuasions Copywriting, we developed a brochure that truly reflected the School, and showed the students in the classrooms and other activities. Once again Z-Studio shot the photos.